Precise Plan: Integrated Health Plans - Hawaii Mainland Administrators, LLC.Hawaii Mainland Administrators, LLC. Precis Plan trains the consumer to ask the right questions before the high dollar services are rendered. The consumer manages their own money, so therefore they should be involved prior to the costs being incurred. If it’s alright for a member to discuss a $50 drug cost, $100 office visit, or a $150 diagnostic test…why is it unreasonable to understand the costs of the $20,000 procedure? The Idea of Consumer Involvement is NOT NEW! Precis Plan supports and protect the consumer both before and after services, through local cost comparisons, pre-service estimates, and other transparent solutions. The Idea of Consumer Involvement is not new! 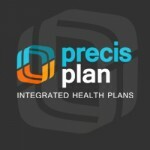 Precis Plan supports and protects the consumers before, during, and after the services. Local and regional area price comparisons. Both the providers and members know the reimbursement levels before any services are performed. Dramatically shortens the claim lag which benefits stop loss carriers. Fully automated processes and procedures. The pricing engine utilizes extensive data to determine the prevailing price, cost and value for specified medical services. Our third-party administration provides complex in-house services such as claims processing, account management, health services, customer service and more. The ability to offer all services from one company. 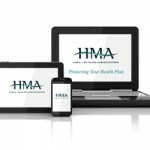 HMA offers fully developed integrated and certified compliant health plans along with flexible customized plan options to fit any employer’s needs. Superior technology makes the HMA engine work. 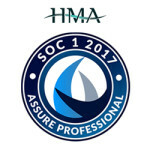 Our owned proprietary software allows HMA to compete in any setting. Our technology systems ensure maximum efficiency, flexibility, reporting, and cost savings. Our health insurance experts include areas in finance services, statutory and GAAP accounting, and actuarial support. We offer the expertise to our clients and enable companies the relief of having a well managed health plan. Our flexible health plans are ready for employers to implement and provide the necessary documentation, forms , and reporting that is needed. Precis Technologies is our custom built information data storage platform that houses all the valuable information of HMA’s Clients. Our online portals make managing your company’s health plan an easier process. Our services manage the cost and utilization of prescription drugs and improve the value of plan sponsor’s drug benefits. HMA Rx offers additional tools, such as disease management that target specific clinical health problems. Precis Plan’s Stop Loss coverage focuses on eliminating gaps and surprises. We provide a straight-forward, client-focused approach to contracts, underwriting and account management. Our wide array of contract and product options allow us to meet the unique risk tolerance and cost objectives of each of our clients. We provide our clients with access to a wide range of Preferred Provider Organizations (PPOs) in order to meet the needs of their employees, from large national PPOs to the best regional networks. Physicians Care has access to over 80,000 participating providers throughout the United States, including physicians in all specialties and most of the country’s finest hospitals. HST Technologies offer unique cost based pricing services and consumer transparency to reduce your employees healthcare costs and save your health plan significant money. HST’s proven innovative pricing technologies allow healthcare payers to optimize reimbursements for all healthcare transactions by benchmarking claims. The pricing engine utilizes extensive data sets to determine the prevailing price, cost and value for all medical services. Simply stated RBP provides for a fair Cost–Up reimbursement level. All of your current providers are eligible. Technology is based on cost plus pricing. Provide highest value on Member protection. Claim surveillance examines every claim automatically and benchmarks results against Medicare pricing, cost, average reimbursements, or commercial claim payments. True claims cost management solutions based on federally reported cost information. Price is negotiated and sign-off agreement is secured based on reduced amounts. Not dependent on reimbursement negotiated by somebody else. Our revolutionary PredictiMed™ platform is aimed at fighting disease and providing the support you need along the way. By participating, our members work towards a healthier lifestyle while earning great health rewards. US Health Center offers effective ways for businesses to reduce costs through a variety of health management tools. Our products and services successfully predict and manage the members medical health risks, while working to reduce the employers cost of heavy health and pharmacy utilization.